How will your timeline be affected by your decision to stay or go? How will your budget be affected? The scope of your project directly affects the livability of your home during a remodel. For instance, a hall bath or bedroom remodel is much less disruptive than a kitchen or master bedroom remodel. If you have children and/or pets, you’ll want to consider how the renovation will affect them. For instance, you may experience disrupted sleep schedules, wrangling your pet, or disrupting workers which can induce extra stress. Beyond this, you’ll want to ask your contractor if your leaving the home will expedite the remodel and, if so, by how much. Finally, weigh each of these considerations against the budgetary expenses involved in living away from home while renovating your home. Staying in your home during a remodel allows you to address questions and concerns immediately with your contractor while also monitoring the daily progress in your home renovation. Of course, it also enables you to save money on room and board. 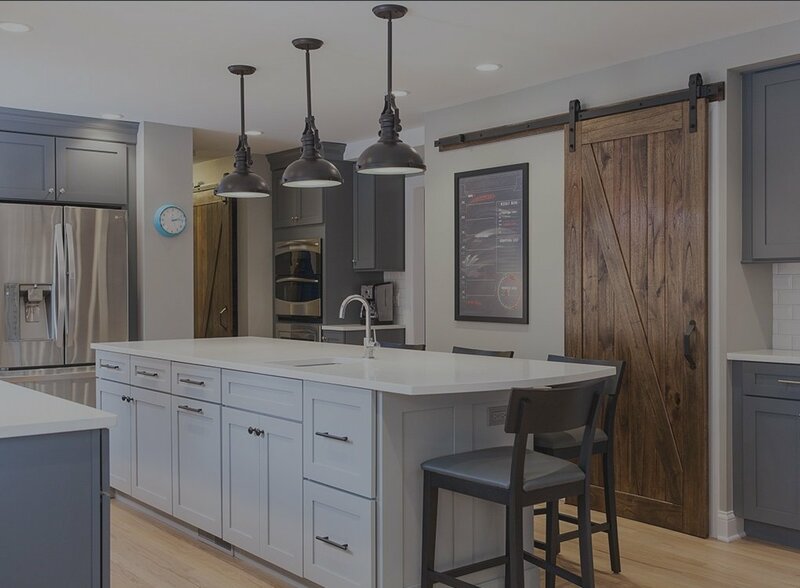 Should you decide to stay, you’ll want to have a game plan: if you’re remodeling a high-use room like your kitchen, ask your contractor for suggestions on how you can set up a temporary kitchen in another area of the home. If you’re renovating a bedroom or living room, think ahead about where you’ll store all your clothing/furniture and how you can protect your belongings from dust. The most essential strategy for staying is to create an area of the home that’s totally construction-free. Ideally, this means a separate home entrance with plastic sheeting firmly secured between your temporary living zone and the area of your home that’s under construction. It also means sealing vents and turning off heating and cooling systems. Ensure that your living zone is equipped with all living essentials: a sleeping room, a (temporary) kitchen, and a bathroom. If you opt to go, you’ll save yourself an (often literal) headache by avoiding a noisy and dusty home and a disturbed routine. As most homeowners who have lived through remodeling will tell you, they end up needing to seek out an “escape zone” to get some peace and quiet even if they do choose to stay in their home during the remodel. Opting to live elsewhere from the beginning will give you a chance to establish a working routine while waiting for your home’s completion. Living away from home doesn’t necessarily mean you’ll have to foot a $100+ hotel bill every night. Get creative with your away options: check out extended stay hotels, Airbnb, short-term rentals, RV rentals, house sitting opportunities, moving in with local family and friends, or even taking a vacation. As you entertain away options, think about how long you expect to be out of your house and whether you’ll reroute mail, cancel internet/tv services, etc. Every homeowner’s situation and needs are unique so take some time to investigate all your options before determining a direction.